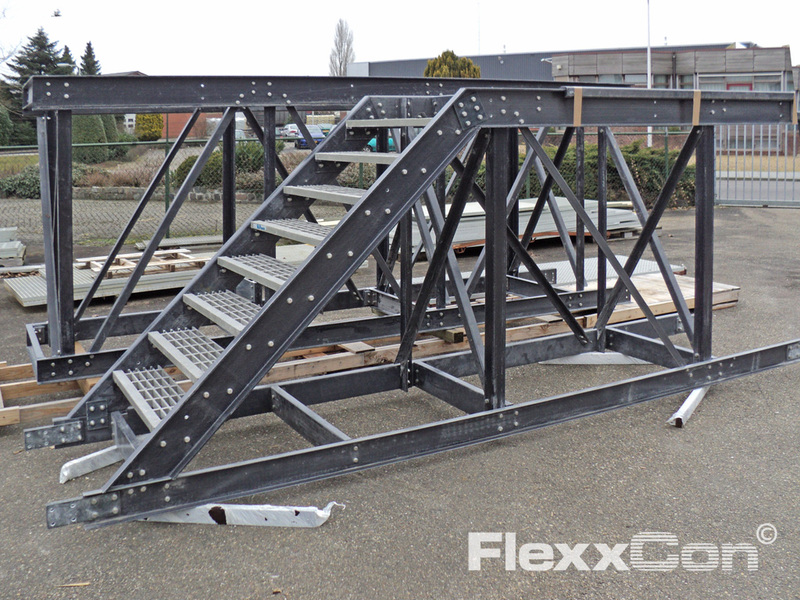 In addition to Fibreglass Reinforced Plastic (FRP) products, we also supply a complete package of support services including: advice, design, engineering and technical drawing (AutoCAD and Tekla Structures). 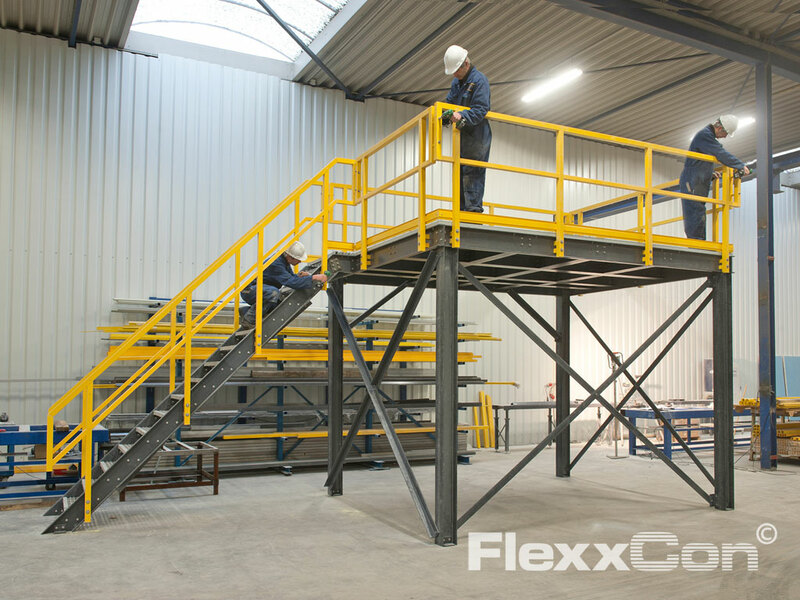 Specifically focussed on the use of Fibreglass Reinforced Plastic products and Fibreglass Reinforced Plastic constructions. 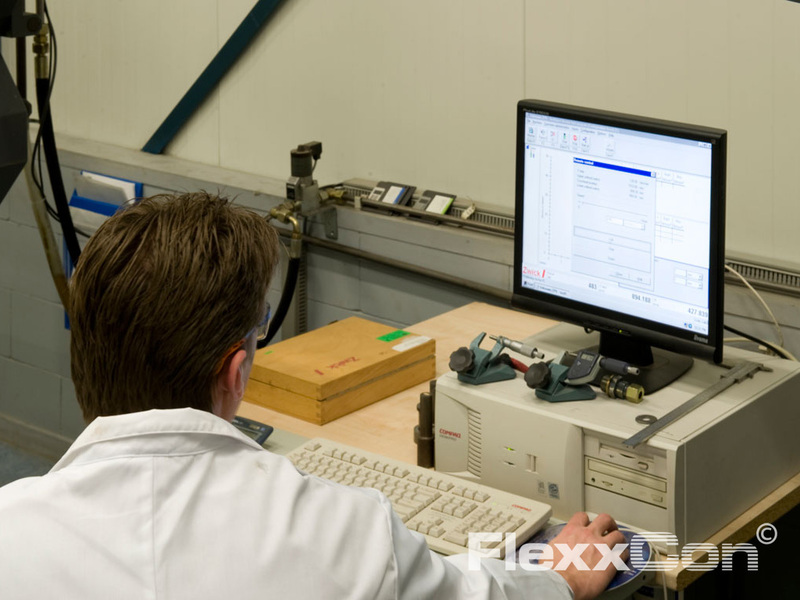 FlexxCon was founded 15 years ago and, in addition to the head office in Amersfoort, it also has a branch in Neede (NL) for the engineering, production and distribution of FRP products and FRP constructions. 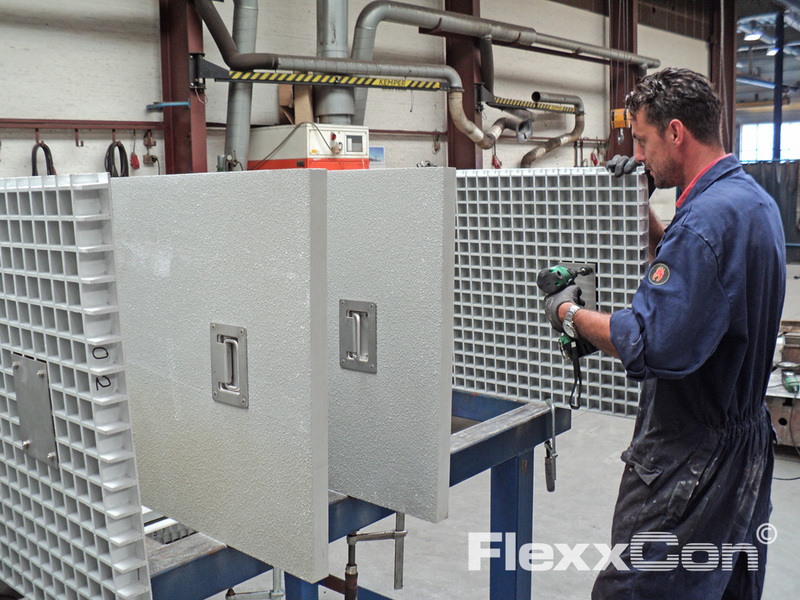 FlexxCon is the exclusive supplier of Fibergrate in the Benelux. 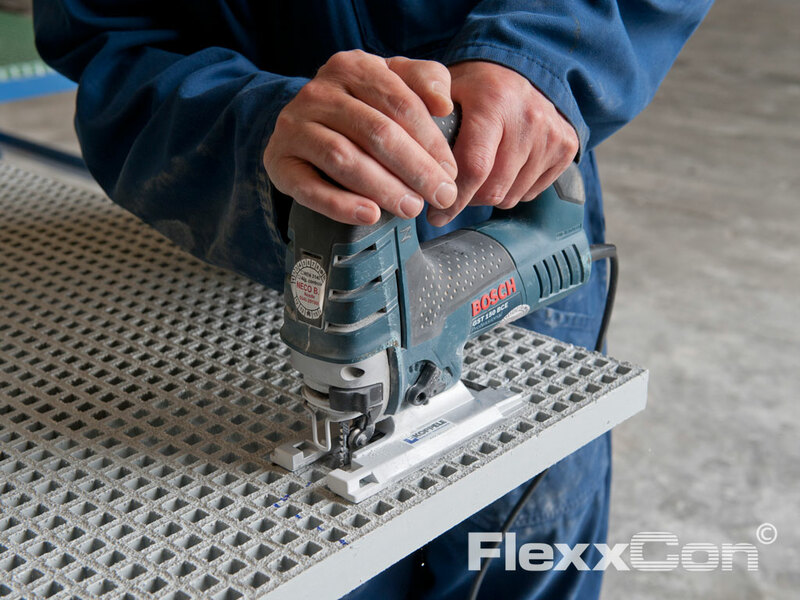 We keep developing and investing, which allows us to quickly and flexibly respond to market demands and requirements for Fiber Reinforced Plastic products. 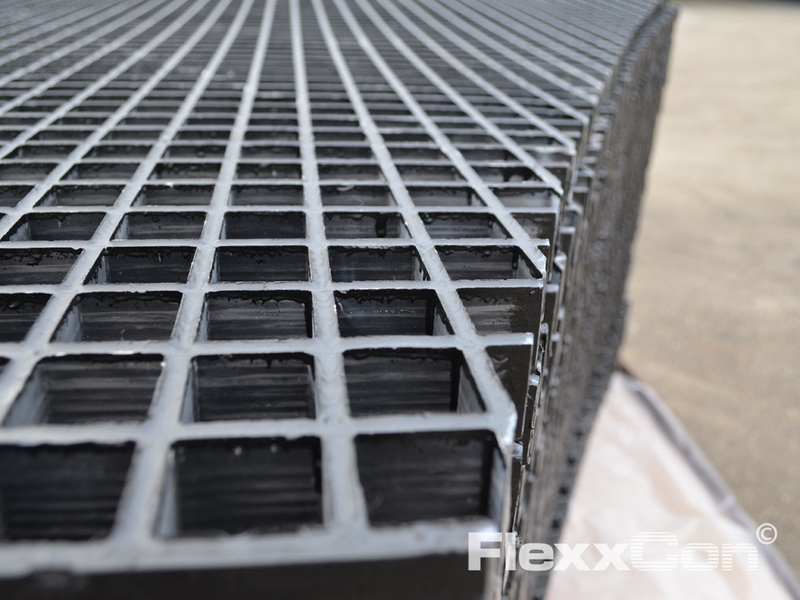 FlexxCon now supplies FRP (GRP) products and FRP constructions to a very wide range of clients in the SME, civil engineering, power stations, the chemical industry, sewage treatment plants, process-water and drinking-water companies, the food, drink and tobacco sector, waste-processing companies and incineration plants, the petrochemical industry, the shipping and offshore industry, the agricultural sector, the leisure sector (marinas), etc. 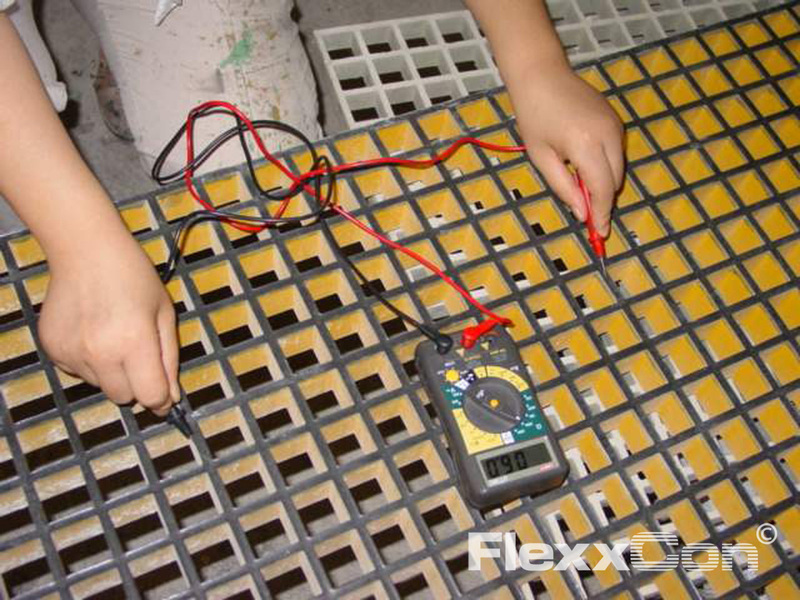 For example: FRP grating (moulded), FRP Grating (pultruded), Fibreglass Reinforced Plastic Handrails, Fiber Reinforced Plastic Stair Treads, Fibreglass Reinforced Plastic Constructions, Fibreglass Reinforced Plastic Ladders and Fibreglass Reinforced Plastic Cage Ladders, Fibreglass Reinforced Plastic Construction Profiles and Fibreglass Reinforced Plastic Landings. 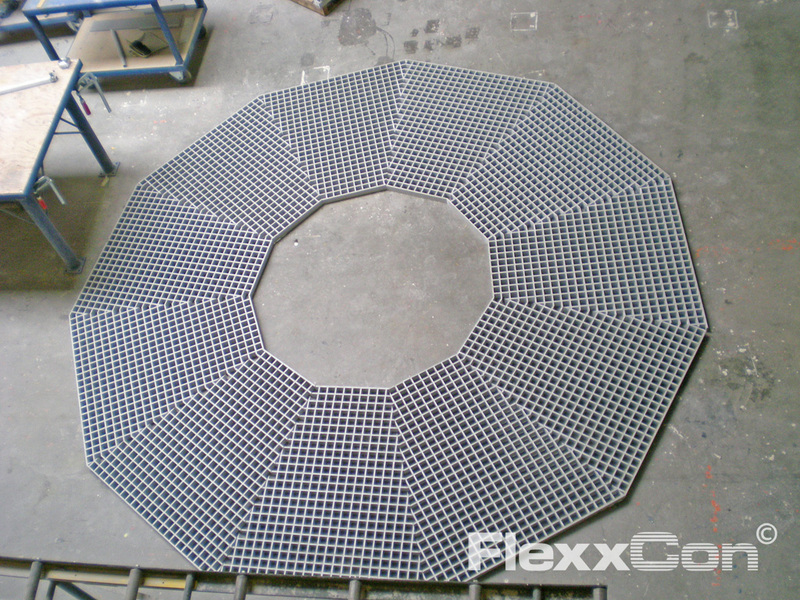 FlexxCon can supply many FRP products immediately from stock, making it possible for us to respond to your wishes and requirements quickly and flexibly. 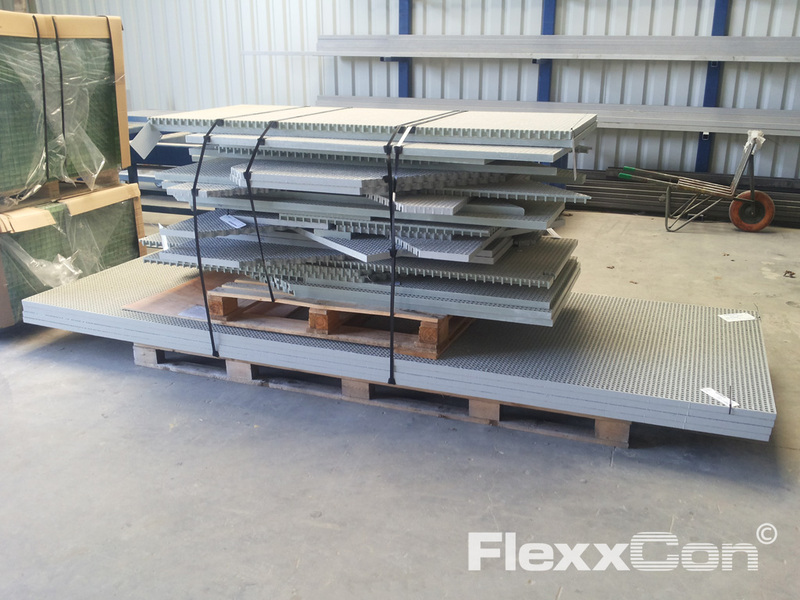 Would you like to know more about our FRP products or FRP (GRP) constructions? 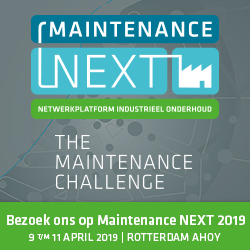 Please call +31 (0)33 455 66 96 or send an e-mail to: info@flexxcon.com.